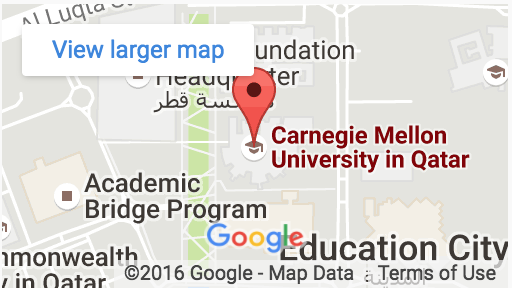 DOHA, Qatar: A team from Al Arqam Academy took first place in the Alice Middle East Programming Competition for middle and high school students at Carnegie Mellon University in Qatar (CMU-Q). There were 111 students from 12 schools who participated in the fourth annual showcase of creativity and programming skills. Alice Middle East is an educational software program that teaches students fundamental programming concepts as they create animated movies and simple videos. Originally developed at Carnegie Mellon’s main campus in the US, Alice was adapted for Qatar by researchers at CMU-Q, with support from a National Priorities Research Program (NPRP) grant from Qatar National Research Fund (QNRF). With the support of the Ministry of Education and Higher Education, Alice Middle East is now part of the curriculum at all Qatar government schools that teach information communication technology. The competition was the culmination of weeks of preparation by the teams, who created animations in the categories of education, social good, the environment, tourism and video games. They were judged for programming skills, creativity, oral presentations and teamwork.